In a nutshell, eToro is an established and award winning social trading broker based in Israel where they are operating since 2007. eToro is an FCA regulated entity when operating in the UK, an Australian entity in Australia, and a Cypriot entity for international customers. eToro is considered to be a trustworthy platform as it is regulated by an established regulator while being a well-recognized startup. Its main operation is based around CFDs. CFDs are complex instruments that include leverage, so they come with a higher risk. When dealing with CFDs you have to be aware of the risks and only invest the money you can afford to lose. The leverage that comes with CFDs is the reason why 65% of retail traders lose money when trading. Therefore be mindful and try to trade with as little leverage as possible. eToro is considered safe, because it’s UK arm is regulated by a top tier regulator and it is a well known fintech startup. This platform was also awarder as the best social trading platform. Social trading means you can follow other traders and copy their investment strategy..
eToro has variously low to high fees across many areas when compared with similar platforms. We calculated the average fees and found out that it has low fees when trading stocks, average FX fees, and zero cryptocurrency fees. The trading fees are also simple to understand. There is no commission, everything is in the difference between the ask and the bid prices (the spread). There is also an inactivity fee of 5$ per month after a year of inactivity. A financing rate is a fee you have to pay to a broker if you hold a leveraged position for more than a day. When you leverage you are basically borrowing money from the broker, that’s why they charge you with that extra fee. This platform has higher financing rates when compared to other brokers. eToro’s non-trading fees are above average. It is really not that bad when you consider that they have no deposit, account and custody fees. Keep in mind they also charge conversion fees if you deposit or withdraw money in a currency different than USD. Minimum deposit is $200 for any country, the exception being Israel ($10,000). The only supported currency is USD. That means, that your currency will be converted to USD once you transfer the funds. The fee for converting currencies to USD and vice versa is 0,025%. There is no deposit fee. You can deposit your funds by a bank transfer, PayPal, credit/debit card, they also have a few other options such as Skrill, Neteller, and Webmoney. Account opening is a straightforward process. We were able to open the account in a single day. This platform had a decent account opening process and they improved it even further in the last year. You can sign up with your email, Facebook or Google+ account. After you are signed up and logged in, you can immediately start trading with a $100,000 demo account. If you want to proceed and start trading with real money, you have to go through a two-tiered identification procedure. If you fill a customer profiling test you can deposit up to $2,000. If you want to deposit more, you have to prove your identity and residency by using a digital proofing system. You need to verify your phone number and upload copies of your documents: by uploading a copy of your passport or ID, you prove your identity, and by uploading a recent utility bill, you prove your residency. eToro withdrawal fee is 25$. This is quite high compared to other trading platforms. The minimal withdrawal amount is $50. The means of withdrawal are the same as the deposit options. When you withdraw your funds, you will receive them on your electronic wallet in 1-2 working days, it takes 3-8 working days to get your funds on a credit or a debit card. You are able to withdraw money only on accounts written on your name. This trading platform has a clean design and some very useful functions. The combination of the two is actually quite impressive. The menus and buttons are where they should be, everything is marked correctly and the colors are pleasing to the eye. The page itself not very customizable, except for watchlist which is easy to set up. They also have an easy-to-use search function. This trading platform gives you an option of a two-step login system. It is easy to log in, but you are left without advanced security options. When placing orders you can choose between “market”, “limit”, or “stop loss”. You can set the leverage size after you open your position. You also have an alert function that lets you know when an asset reaches a certain price. You get another notification when your order is fulfilled. Another very useful feature is the portfolio report. The portfolio reports are easy to use. In the portfolio reports, your assets can be lined up or on a pie chart. When looking at the fee reports, they are not that easy to find. To get to them you have to go to Portfolio / History / Top right circle / Account Statement. There you can download a pdf file that includes all your transactions, including fees. If you are following another user you can see each individual trade. When examining the user’s fees, however, they are only listed per fee deduction. Their mobile trading platform is very user-friendly and with has a nice interface. It is available for iOS and Android. We examined it in iOS. The mobile platform functionalities are almost the same as on the eToro web platform. There are some mobile-only functions such as push notifications and additional touch options: you can swipe left and right when in your portfolio to access charts or open a new trade. This platform is mainly a CFD and forex broker. You can also trade real stocks, ETFs and some of the cryptocurrencies. When you buy without leverage, all of the bought assets are actual stocks ETFs or cryptocurrencies, and when you buy with leverage you will always buy CFDs. The fact that you buy the real stocks and ETFs when buying without leverage is something that other brokers don’t usually have. That doesn’t mean your capital is at any less risk than if you bought CFDs instead. You can also copy other traders that trade CFDs (social trading), or invest in a portfolio of featured professionals, trading on the platform. All in all, there is a decent amount of investment options on this platform. They have less stock and CFD options than some of the more expansive brokers, but they offer a variety of cryptocurrencies. Cryptocurrencies are very volatile and are among riskier investment options. Cryptocurrency trading is not supervised by any regulatory framework. Therefore, keep in mind that if you trade cryptocurrencies on this platform, you will not get any investor protection. When you long cryptocurrency, you will own it, and when you short it, it is a CFD. There is no leverage when trading cryptocurrencies. eToro enables crypto wallets for four cryptocurrencies: Bitcoin, Ethereum, Litecoin, and Bitcoin Cash. Be aware that trading with leverage comes with a lot of risks. You should educate yourself and be prepared to trade only with the money you can afford to lose. CopyTrades is the platform’s designated social trading feature. You can choose and copy each of the portfolios of professional traders that are on the platform. This is very useful as you can learn a lot from their techniques and the way they approach the market. When looking up a trader you can check their performance history on a yearly and monthly basis. All the portfolios are subject to public information. Furthermore, eToro provides you with a risk calculation for every portfolio. They also provide many different statistics such as trades per week, holding times, charted performances, profile descriptions and so on. The minimum amount required for a single trade when using CopyTrade is $200 and the number goes up to $500,000. You can copy up to 100 traders at the same time. There is one disadvantage that CopyTrades has: you cannot partially close your position, you can only do it fully. Keep in mind that past performance doesn’t guarantee future results. All the investment decisions you made are your own responsibility, this article is by no means investment advice. CopyFunds presents you with an option to invest in investment funds, that are actually CFD portfolios. If you can copy a trader of your choice when using CopyTrades, CopyFunds enables you to invest in themes or traders portfolio. Theme investing means putting your money into a big bank portfolio or cryptocurrencies. You can copy funds of some of the biggest investment banks in the world, or invest in multiple »star« traders at the same time. There is also a crypto version of the CopyFund. eToro offers some good technical analysis tools. You can research the markets by some analyst recommendations and market sentiment indicators. The languages in which you can access the research are English, German, Italian, French, Russian, Dutch, Spanish, Portuguese, Slovenian, Polish, Norwegian, Chinese and Arabic. You can find some recommendations on some of the more popular stocks. That includes the analyst consensus, price targets, hedge fund sentiments, and insider trading sentiments. Those are some very useful research tools that are unfortunately available only for a few of the most known stocks. You can use some of the most common fundamental data on the platform. With stocks, this is the company profile, and ratios of P/E, EPS, and dividend yields. This information is limited to stocks. eToro has a good charting tool, where you can use many indicators. We really liked charts are saved automatically. This means you don’t have to set up your indicators each time you visit the platform. The news feed on eToro is not an official news feed, but more like a post-board where eToro users and analysts post their messages on the markets. It includes hashtags for certain themes and $ signs for assets. When using it, be aware that sometimes the scenarios you are reading about, have already happened. The customer service is not very strong with eToro. There were a lot of complaints in 2017, at the time of the crypto bubble. Nowadays, they are doing a better job, but they still have some room for improvement. There is no live chat or telephone support. The only thing available is an online ticketing system. You get you replies by mail. This is quite a drawback when you need something immediately. Their customer service is in English, Spanish, Italian, German, Russian, French, Polish, Chinese and Arabic. When testing their email support, we sent them a couple of questions. The answers returned between a few minutes and three hours. The responses were professional, but sometimes they didn’t cover the whole question. There is not a lot of educational material on eToro. You can use a demo account to trade, and there is a couple of basic educational videos about investing and the markets, however, there is no tutorial material on how to use the platform. You can also learn from their webinars. The broker was founded in 2007, meaning they survived one financial crisis already. This is always a good sign. They are privately owned, mostly by venture capital funds. eToro is technically still a startup. It is not listed on any stock exchange, and it doesn’t release any financial public statements. They are also without a parent bank that would provide them with back-up money. eToro is presented by three legal entities and deals with the customers based on their residency. Your residency, therefore, determines the level of protection you will get. – UK citizens can open their account on eToro (UK) Limited. Therefore they are protected by the FCA. If eToro becomes unable to return their money, every user can expect the compensation of up to £50,000 by the FSCS (Financial Services Compensation Scheme). – Other investors can establish their account with eToro UAE Limited. That entity is regulated by the Cypriots CySEC. At the European eToro entity, the funds are protected by up to €20,000, as determined by CySEC. 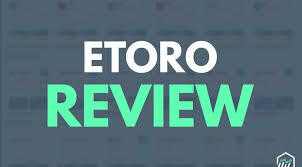 eToro UAE is a broker with a very nice, user-friendly platform. They are regulated by top tier regulators and have a solid background. We really liked their social trading features and low trading fees. On the side note, be sure to remember trading with care and if you make any profits don’t forget to report them to your government if they are a subject to taxation laws. All in all, if you like trading, especially on your phone, eToro is definitely a broker to consider.